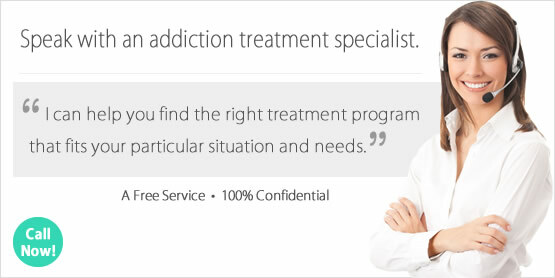 Looking for a Drug Rehab or Alcohol Rehabilitation Facility in Illinois? Substance abuse treatment services are available throughout the state of Illinois, and there are many different options to choose from even for the most serious cases of addiction. Drug rehab isn't a luxury, and so many people struggle with drug and alcohol problems when they don't have to. Everyone deserves help, and there is no drug or alcohol problem too great that cannot be completely eliminated with the right treatment in Illinois. The first step is speaking with a drug treatment counselor in Illinois who can help determine which drug rehab program is right for you or a loved one based on a thorough assessment. So take the first step and speak with a treatment counselor today to get the rehab process started. In a single-day count in 2013, nearly 43,000 individuals in Illinois were enrolled in some type of substance use treatment. Out of the individuals in drug rehab in 2013 in Illinois, 38.6% were in treatment for drug use only, 21.3% were in treatment for alcohol use only, and 40.1% were in treatment for both drug and alcohol use. One of the most disconcerting drug problems in the state based on statistics regarding treatment admissions is heroin, where nearly 25% of admissions cite this as their drug of choice. When combined with other opiates which would include prescription pain killers, heroin and other opiates comprises 30% of treatment admissions to drug rehab facilities in Illinois. There is an obvious poly-drug use problem in the state, which is obvious when looking at how many people are needing treatment for both an alcohol and drug problem in Illinois. Marijuana and cocaine are also very significant problems as well. In Illinois, about 725,000 individuals aged 12 or older are alcohol dependent or abuse alcohol. Sadly however, very few of these Illinois residents ever get help for their alcohol problem, and 95% of alcohol abusers and those who were alcohol dependent in Illinois did not receive the treatment they needed last year. Statistics show that out of the individuals that do make it to treatment for either an alcohol or alcohol/drug problem, most were male with 70% of clients citing alcohol was either their main substance abuse problem or part of a poly-substance abuse problem. There are 208 facilities which facilitate the treatment of male clients, so this can be helpful for this portion of client who may require more gender-specific alcohol treatment in the state. What does Inpatient Rehab in Illinois Involve? In inpatient treatment in Illinois, clients will receive treatment over a 30-day time period for short term programs or anywhere from 60-120 days for a long term program. The same applies to facilities which provide non-hospital residential treatment. A safe detox is always the first step if not yet detoxed, which is always safer while under the supervisions of treatment and detox professionals. Then, treatment plans typically consist of steps to improve one's chances of remaining abstinent when they return home, such as individual and group counselling, cognitive behavioral therapy, motivational interviewing, anger management, etc. Inpatient drug rehab programs in Illinois are also able to provide dual diagnosis treatment in most cases, for individuals who may also need to address a co-occurring mental health disorder while in treatment. What does Outpatient Rehab in Illinois Involve? Most of the outpatient treatment facilities in Illinois which provide counseling and therapy services to clients do so in either an individual or group setting, and more individualized treatment is available at most intensive outpatient facilities and day-treatment/partial hospitalization facilities in the state. This would include treatment for individuals with a dual-diagnosis. And while 12-step treatment models are the most common, there are 62 programs which provide alternative treatment and utilize treatment models which may be more effective for some clients, particularly those who have not benefitted from 12-step. Outpatient treatment in Illinois typically involves a commitment from the client of at least one day per week for a regular program and several days a week for more intensive outpatient programs in the state.